We’ve gone through 17 weeks of NFL action, plus the two opening rounds of playoff play and it has all come down to the NFC and AFC Championship games. While both games should be great ones, one game that stands out to me is the re-match from last year, as the Baltimore Ravens are heading on the road to take on the New England Patriots in the AFC Championship game. 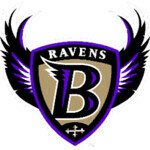 The Ravens are coming into this one after two emotion wins, with the first being against the Indianapolis Colts after Ray Lewis stated he was retiring after this season, and then they had a huge win on the road in Denver against Peyton Manning in overtime. The Patriots on the other hand are getting it done after their first round bye, and then a solid win against the Houston Texans in which they pretty much just controlled the game. Both of the championship games are on Sunday this weekend and kickoff is set for 6:30pm EST. The Ravens emotions are going crazy right now, and they are riding a type of play that we haven’t really seen from them all year. It doesn’t matter if the offense is flat or the defense is flat, because the other one is stepping up when it’s needed. Joe Flacco has made some great decisions, Ray Rice is playing on top of his game, and the defense, even when giving up points, is making stops when it is most needed. They are a fun team to watch right now, and they definitely have revenge on their minds after losing to New England last season. For the Patriots, this offense just looks down right scary. Even though they lost Rob Gronkowski for the remainder of the year with a broken arm again, they still have weapons all over the field and there is constantly someone stepping up. At the tight end position they obviously have Aaron Hernandez who will play a large role, as well as players like Wes Welker, Brandon Lloyd, and even Shane Vereen and Stevan Ridley out of the back field. The Pats are a tough team to beat at home, and Baltimore will have their work cut out for them. Betting the Patriots or Ravens? Get our pick below or go ahead and make your bet here if you are ready! The Patriots come into this big game as -9 point favorites. Let me start by saying that I’m not surprised by this line at all. The Pats got a cover last week of a similar line against the Houston Texans, but I think that the Baltimore Ravens are playing on a different level right now than many people expected. They have a lot of talent, are well coached, and are going to be ready in this game. Unfortunately, I do think that the New England Patriots are simply too talented to lose at home, and this is why I think that the Pats get the win, but in a closer game than you may think. 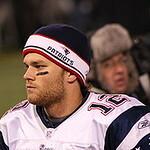 I think the Patriots win this in a close one – bet the Ravens +9 on Sunday!